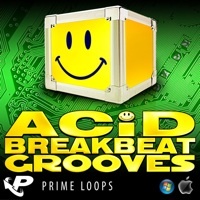 Brand new from Prime Loops' critically acclaimed Grooves Series, "Acid Breakbeat Grooves" delivers a phantastic array of sounds that will enable you to tear up the clubs! Bursting with crystal-clear bass power to inject directly into your DAW, this hyperactive sound suite delivers only the freshest tools to boost your dance productions. 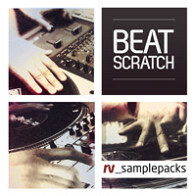 This cutting-edge sample pack boasts 12 intricately crafted, acid infused breakbeat construction kits at 131 bpm, all jam packed with only the phattest pounding breaks, basses, synth hooks and drum one-shots! Expect an energetic arsenal of over 200 slamming beats, mind bending bass grinders and twisted acid bleeps, all programmed, produced and mastered to ultimate perfection and with only one goal - to set the roof on fire! 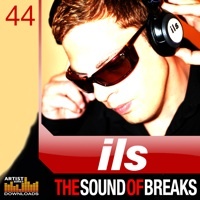 Produced by genre-defying breakbeat pioneer, DJ and producer Lee Coombs, "Acid Breakbeat Grooves" is also highly suitable for the electro and new-school crowd. Breaking up boundaries, and ignoring the status quo, Lee Coombs is a heavyweight of dance music's evolution. For over a decade he has been at the forefront of it all, and continues onwards and upwards, with highly sought after production skills, and mind-blowing DJ Sets. 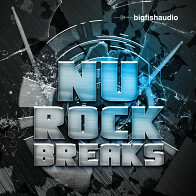 As one of the most respected producers within the breakbeat, tech & future house scene, a former Finger Lickin' Records heavyweight, he is responsible for huge releases and remixes for artists such as Moby, Paul Oakenfold, New Order, Plump DJs, Meat Katie, Atomic Hooligan and The Freestylers to name but a few. 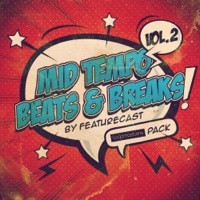 This definitive sample collection will instantly bring you up to date with all the newest flavours in today's breakbeat scene! Available as .WAV, Acid Loops, Apple Loops, Ableton, Akai MPC and many other formats, you're only moments away from adding that slamming master class twist to your own breaks, tech, house, minimal, electro or glitchy productions. 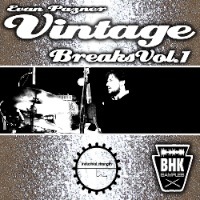 Check out "Acid Breakbeat Grooves" now, and feel the difference for yourself. The Following End User License Agreement is included with Acid Breakbeat Grooves. This License is only valid for the individual who has purchased an unopened, new and lawfully made copy of Acid Breakbeat Grooves from a dealer or distributor authorized by Big Fish Audio. "All Rights not expressly granted to the user are reserved. The sound samples contained within are licensed, not sold, to you to be reproduced within your original musical compositions only. All copying, lending, duplicating, re-selling or trading of this product or its content is strictly prohibited. Only the original purchaser of this product has the right to embody and reproduce the enclosed sound samples within their music compositions. Use of these sounds in multimedia projects is limited to use within original musical compositions. Any other multimedia use of these sounds must be cleared with the producer of this product prior to release. This license is granted for a single user only (and is given on a worldwide basis). The license is non-exclusive and is granted for the full period of copyright protection and sound samples. You cannot electronically transfer the sound samples or place them in a time -sharing or service bureau operation or a computer/sampler network. Opening this product constitutes your acceptance of these terms. All Rights reserved. "